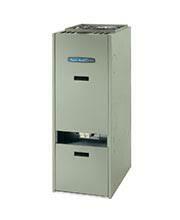 Top of the line furnace for comfort, efficiency and performance with Greenspeed Intelligence. High efficiency gas condensing furnace to fit your needs with comfort, efficiency and performance. The performance series delivers durability, comfort and performance and is a powerful choice for your furnace. If you looking for economy and efficiency the Comfort Series delivers.